Ending: Omaha, Nebraska. Total Miles: 1568 in 5 days. 754 miles traveled on final day. You can read my blog detailing all info about the eclipse itself by clicking this link here. August 21st was a day I had planned out on my calendar for a long time. Close to a year, in fact. I knew I'd need to travel to get to an area that was going to be in the eclipse path, aka, Totality, because my area, Southern Ontario, was only scheduled to see about 75% coverage. A ton of planning and detail went into coordinating an exact location, the plane costs/arrival times and locations, hotel costs, etc. 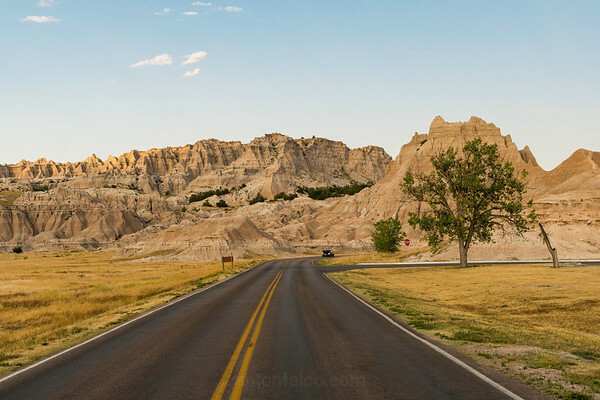 for where I would observe the eclipse, but since I knew I would be in the area for a few days before and after the eclipse event itself, I wanted to find areas to visit, explore and experience, within driving distance. In short, I did not want to sit in my hotel room for those days waiting for the big event. 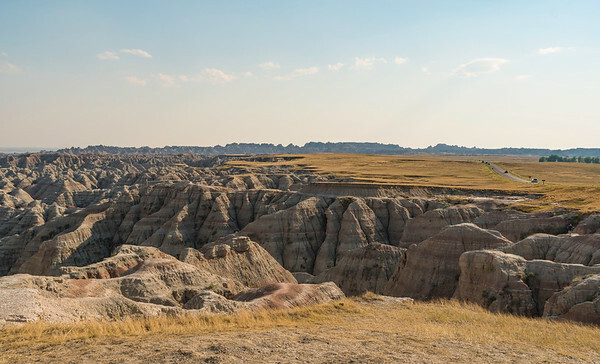 Very high on my list of places I've always wanted to visit, the Badlands was the first stop on the way to Rapid City for my girlfriend and I. It was, very conveniently, directly off I-90, so there was little navigation or detours to take to get there. 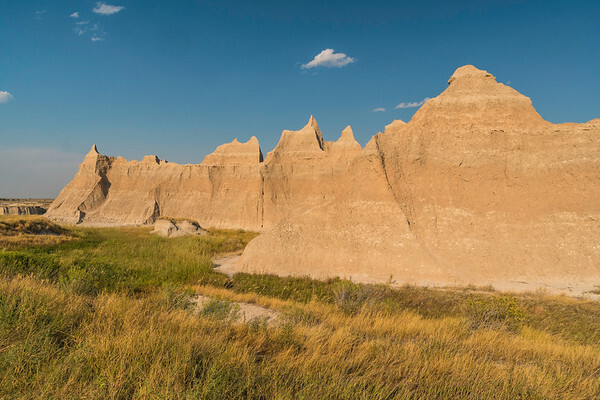 We entered at the Badlands Pinnacles Entrance, where you're immediately greeted by some incredible landscape overlooks. 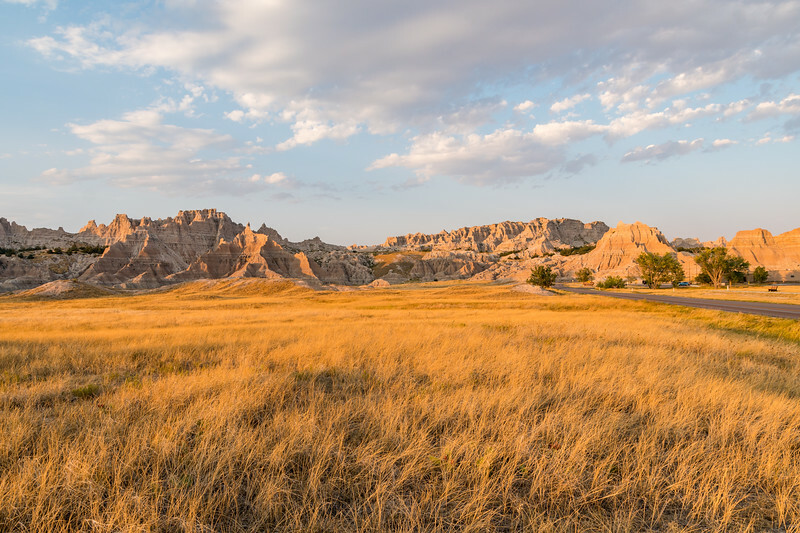 Badlands National Park has a few overlooks that you can stop and sight see at your own leisure, so there's no need to feel pressure to find a place to stop. 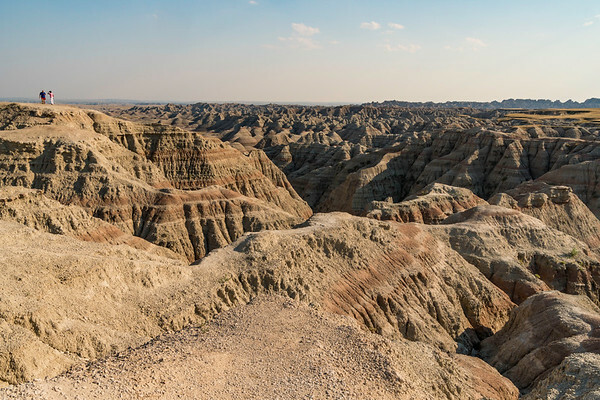 I was definitely not prepared for the overwhelming feeling of vastness, or how small you really feel when you enter the park; the formations are significantly larger than many photos can do justice. I have posted some pictures with people climbing and walking around to give you a sense of that scale. There are multiple overlooks where you can stop and survey the scene, and I'd highly recommend taking advantage of them. 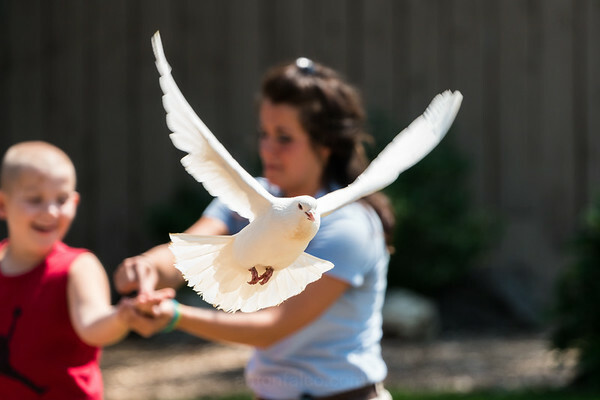 They are specifically designed to give you some of the best views of the park. There is little more I can say about this park besides that I loved exploring it, wish I had more time to take more pictures, hike the designated trails and make a day of it. The pictures paint a much better picture than I could through text. 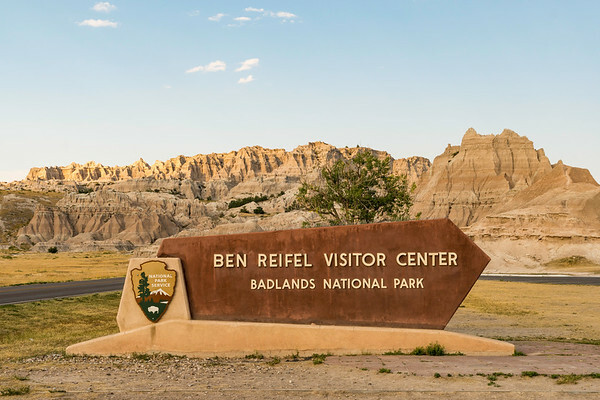 I highly recommend taking a trip to visit this National Park. 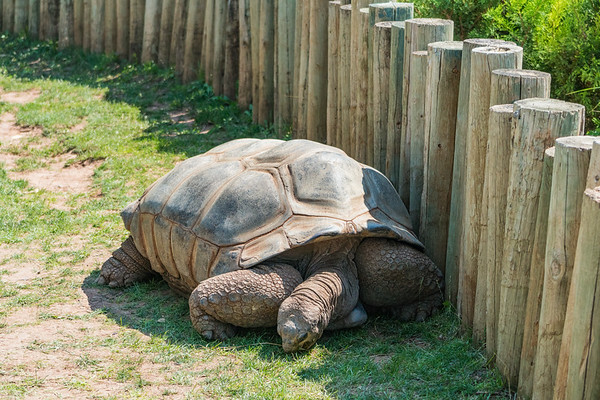 Besides the beautiful rock structures, you'll encounter plenty of wildlife as well. You will not regret it. Be warned: it can get very hot in summer, so keep plenty of water on you. 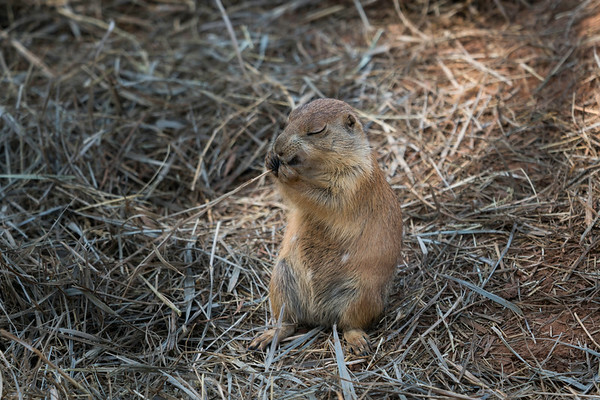 Along the way to Mount Rushmore was Reptile Gardens, which is located on US highway 16. 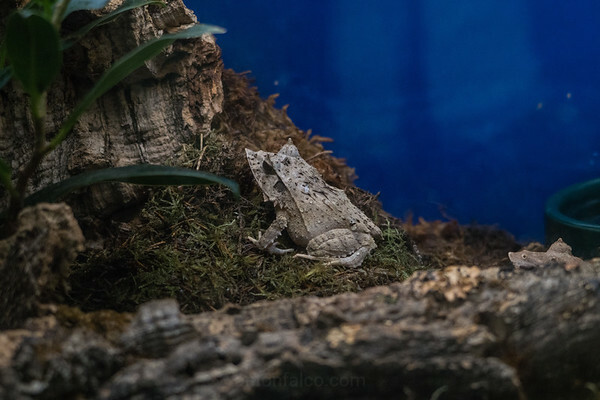 When I was looking up local attractions around the Rapid City area prior to my trip, Reptile Gardens continually made the top 10 lists of best places to visit in South Dakota. 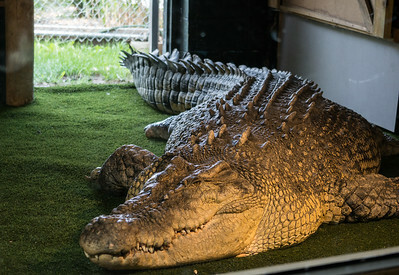 Its website lists itself as the largest reptile zoo in the world, and features Bird shows, Alligators and Crocodiles (which I have never seen in person before), dangerous and venomous Snakes, and many other rare or uncommon animals; especially to someone coming to the area from Ontario. The Gardens nearly stole the show. I visited many places and witnessed totality on this trip, and Reptile Gardens was one of the most fun places I visited. 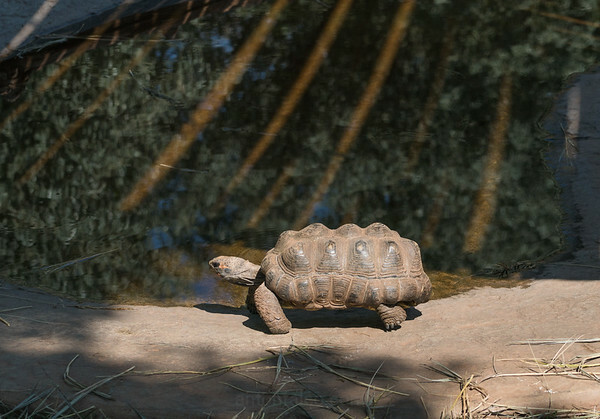 You will see many pictures of the many animals and reptiles encountered below. 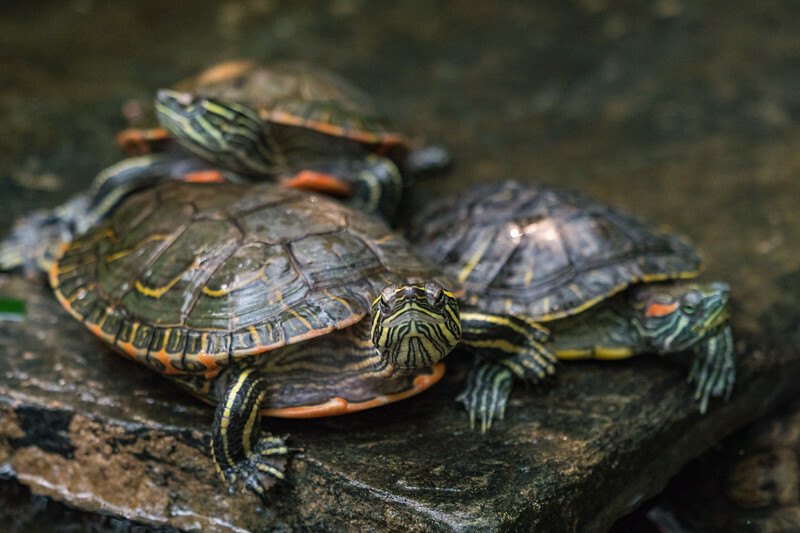 If you're a fan of reptiles, nature, or any animals in general, Reptile Gardens is absolutely worth a visit. 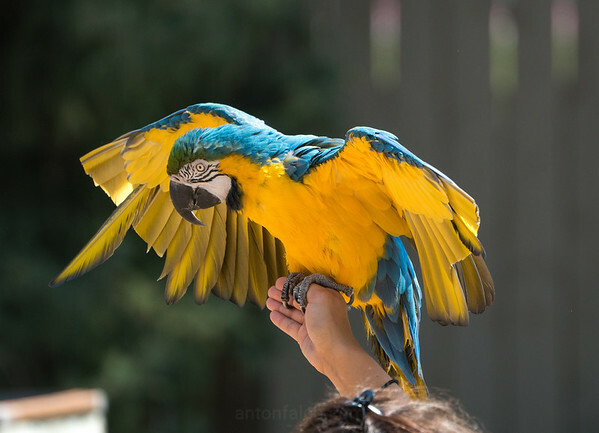 The staff also runs shows nearly every hour where you get to see the staff get up close and personal with the reptiles, birds and other animals. 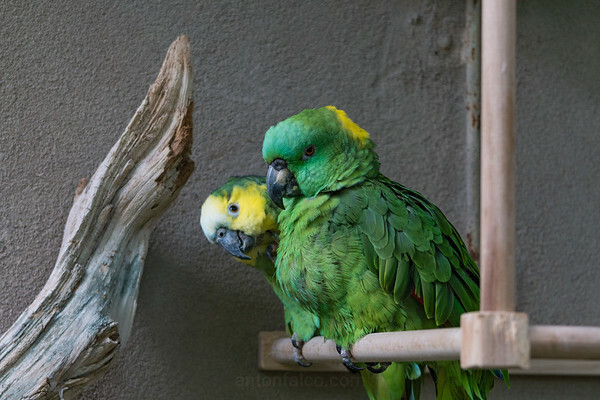 They talk about their habitats, how to avoid dangerous encounters and their general behavior. 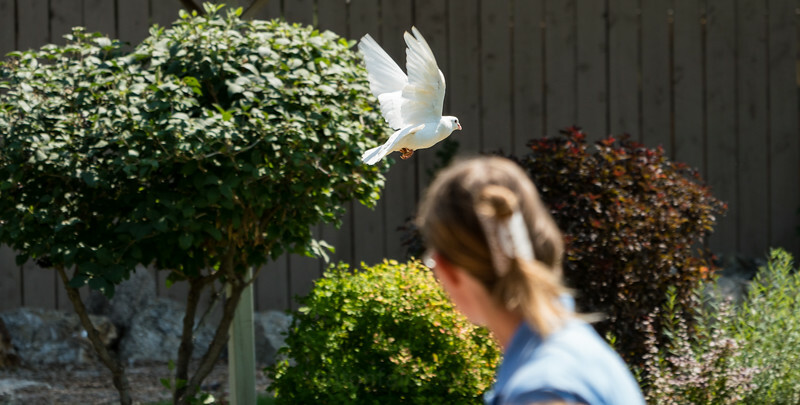 If you're enjoy being around, or learning about wildlife, make sure to stop here. You will enjoy it. Another monument high on my list of places I wanted to visit was Mount Rushmore. Not to sound like a broken record, but this was another place that you were not prepared for the sense of scale. It is significantly larger than you think it is (well, I thought so). Part of the reason I wanted to stay in the Rapid City area was because of the proximity to Mount Rushmore while we waited for the eclipse. The drive to Rushmore was a nice one; lots of winding roads, plenty of tree filled hills and featured driving through small little towns to get to the monument. I imagine I got lucky on the timing; it was busy, but not gridlock. Once there, you walk up the main pathway to the monument. The side pillars list all 50 states of the US, and the order at which they became official states, which I found quite interesting to read along the way. There were plenty of areas to stop and take a picture as you continued toward the monument, so you did not feel the need to interrupt or get in the way of anyone else. The overlook area near the monument was well designed. Plenty of room to take pictures and take in the whole scene. 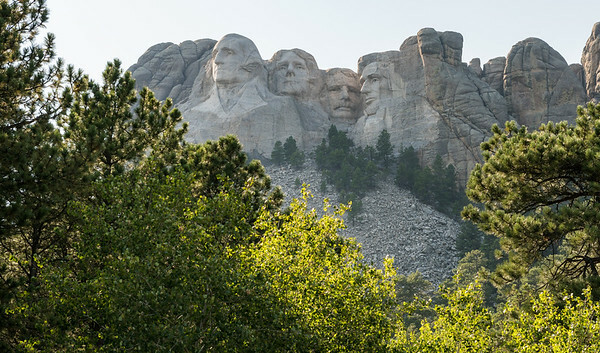 There is also a trail you can take called the Presidential Trail, which takes you around, and right next, to Mount Rushmore. 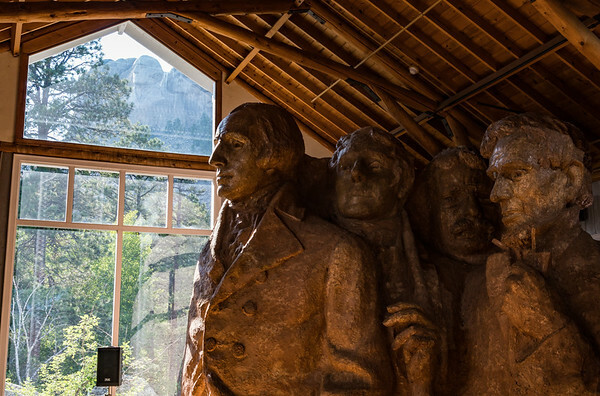 It offers you a very different view of the monument (great for pictures) and features interactive posts which offer background details of the presidents featured on the monument. There's a good chance you may encounter wildlife on your hike as well; in my case, a family of Deer decided to parallel the trail for a good part of the hike. 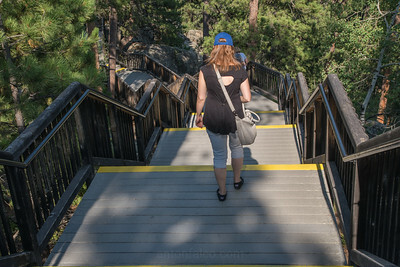 There are plenty of steps, so keep that in mind before going on the hike. It is worth the time, however. 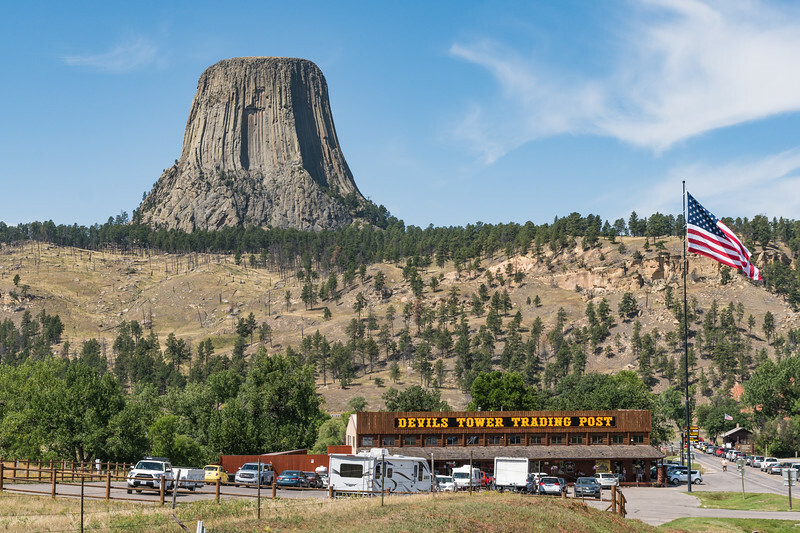 My final stop before taking the 750 mile drive back to the airport in Omaha, Nebraska was the Devil's Tower. Another area of interest that was on my list of places to see, this one was a bit of a journey away from Rapid City; about 2 hours northeast. Though I knew this would significantly increase travel time to our journey back to the airport, I would have regretted not visiting the Tower. I felt even stronger about this after I visited. Getting to the Devil's Tower was one of the most beautiful drives I've had the pleasure of taking. Very open, winding roads, plenty of small hills, and eroded mountains could be seen for hours. In addition, the 80 mph speed limits were an additional bonus for those of us out there that like a quick paced drive. I made a time lapse video of the drive into, around, and out of the Devil's Tower national park that I think you'll enjoy watching. 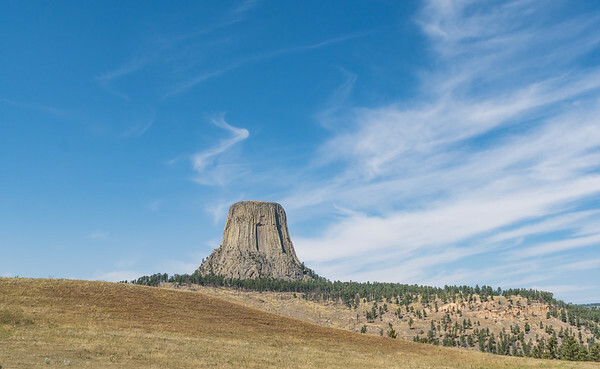 In yet another case of feeling very small, the Devil's Tower overwhelms you. You can see it miles away on the drive in, and you suspect it to be massive, and it is. It's just bigger than you imagine it to be. There are plenty of areas to pull over to take in the size and scale of the Tower. Take advantage of them. Once arriving at the entrance, a small, two-lane, road allows you the opportunity to drive around the tower and eventually, once reaching the top of the road, the ability to get right next to it. 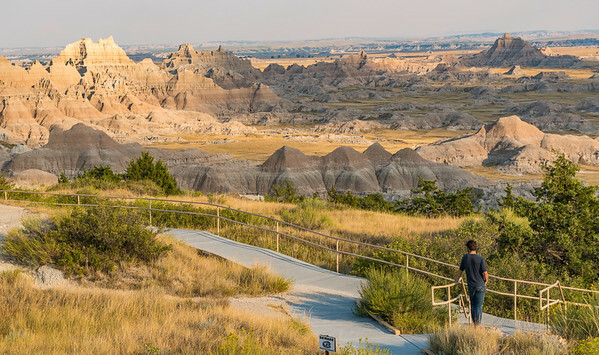 Along the way, there are several stops (much like the highway drive in) that feature natural attractions, such as Prairie Dog homes, specific rock formations and different, unobstructed views of the Tower. Once at the top, there is a Visitor's Center, which offers souvenirs and theories as to how the Tower was formed. In summer, you can see people climbing the tower, and that alone gives you the absolute best sense of scale you can imagine. I wish I had more time to take in a day (and especially a sunset) around the area, but my brief visit was still extremely fun, nonetheless.